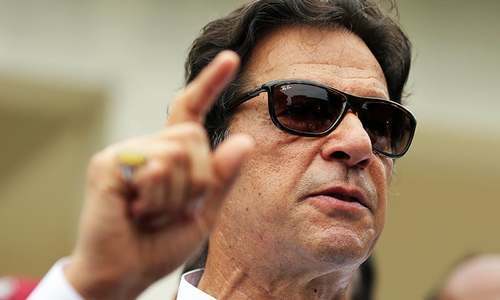 Chief of Army Staff Gen Qamar Javed Bajwa congratulated Prime Minister Imran Khan on assuming the top ministerial job during their meeting on Monday, DawnNewsTV reported. 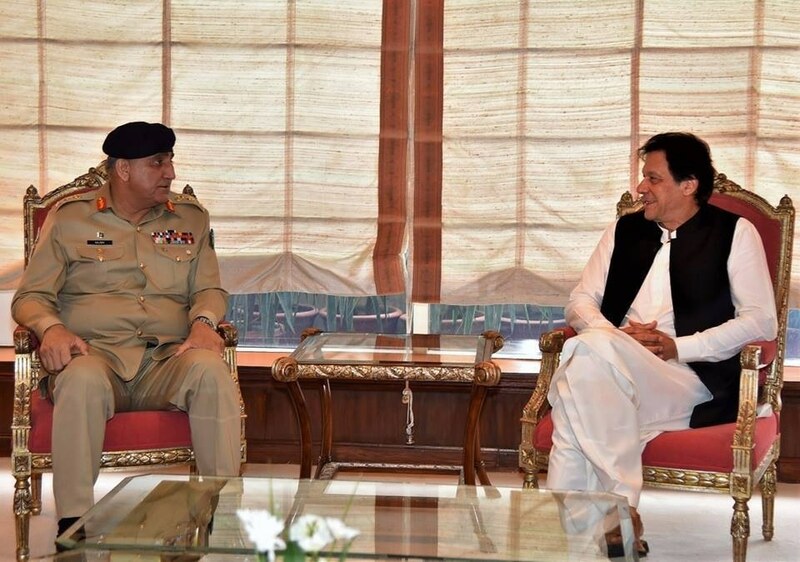 The PM and the army chief discussed the country's security situation in what was their first meeting since Khan become the 22nd premier of Pakistan. The two leaders vowed to maintain their efforts to ensure long-lasting peace and stability in the region. 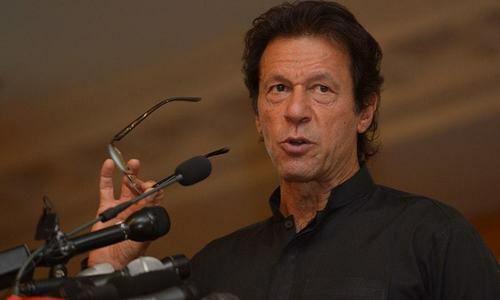 Khan had formally assumed the office of the country’s chief executive following an impressive oath-taking ceremony at President House on August 18, which was attended by a number of dignitaries, including senior PTI members, parliamentarians, services chiefs, diplomats and celebrities. In 2017, Khan and Bajwa had held their first meeting when the former congratulated the latter over his promotion and appointment. The congratulatory visit had taken place almost four months after the appointment of the army chief. What are talking heads saying about the Imran, Gen Bajwa meeting? The expressions of the faces on the photo of the news has two different moods. Great start of “one nation, one cause”. Are we sure our real problem is security? Whose security the meeting is referred to? Kindly focus our economy, make water reservoirs, focus health and literacy. Imran Khan the nation is expecting a lot from you and your government. Please remember accountability should be across the board. Please do not spare any individual or institution. No one should be above the law. That is the only way we can rise as a nation. Prayers for your success. Long Live Pakistan. That is prime need of Pakistan-hope the get the necessary support! Threre are only 03 (three) organs of the State; (1) Parliament (2), Executive, and (3) Judiciary. 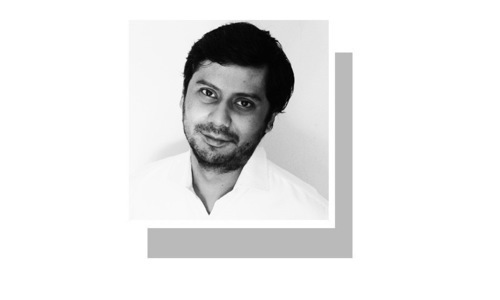 Imran Khan will have to ensure that no other institution tries to act as the fourth organ of the State or seeks to superimpose itself on the civilian supremacy. There should be no compromise on this principle. maintaining this supremacy will be the real test for the PTI government. Having lived abroad for years Imran Khan should know what Democracy means. Finally: an honest elected Prime Minister and the Armed Forces on the same page. Positive development is set to take off. the two person can give us a bright future. In many ways, the expectations of the people are a little too much, hope that as people, we will remember that the issues are bigger than life, they didn’t get this bad over night, it will take time to resolve them, but than again, some promises made by IK were also unrealistic, like eliminating corruption in six months, there is no way to solve Big issues like that in days, it’s goibg to take the entire 5 years just to crack it open. Good to see, two brave and strong personalities are discussing peace in the region. Please adhere to your principles and do not let anybody get away, no NRO's, accountability must continue at all level, no compromise on nation's sovereignty, improve poor people's lifestyle, provide them justice, education, health care, clean drinking water and job opportunities. All these are challenges and will take time, but public have trusted IK and support him all the way. Good luck! Good to see that the tables are clear of all ‘refreshments’ like dry fruits, candies, sweetmeats, club sandwiches, teacups, etc, etc, of the previous era. A PM who looks fitter than the COAS. New era of nation building. Just not words, need action. @Shahid - How does their "body language" look to you? The body language is giving many clues! Can any one mention one nation's name other than Pakistan where Army chief sit next to Premier? It is wrong optic & convey wrong message to outside world. IK should extend Gen Bajwa and CJP Nisar tenure. Pakistan at this time needs stability and patriotic like them. @Socrates When leaders are honest, patriotic and leadership calibre, the no other organ of state need tostep in. Only when crooks, looters, liars, cheats who care for themselves and not the nation invite other organs. How to identify the crooks, they normally have dynastic rule. Did Army Chief salute the PM? @LAHORI KID absolutely right but where there is a will, thwre is a way. IK can achieve alot by rooting corruption out from the top. He has started and is taking time to pick right candidates. Once his team is in place, see the wheels roll. The domino effect will start. @Shahid Bodes well and rhe enemies are hating it. @Hello123 PM and COAS of the nation. Army Chief and PM Mr. Khan's peace talks can say the message all over the country " YES TOGETHER WE CAN"
and this sweet relationship would be the key of success of "Naya Pakistan"
Only an honest leader can make Pakistan survive, popular leaders can't, popularity is only for one day match. @Shahid COAS is more relaxed and in command, however, our PM despite the mandate from the public appears cautious and on guard. Rightfully so. @Singh : Your observation is correct. This and many other similar yet abnormal things happen only in Pakistan. @LAHORI KID Agree with you. He must be realistic in his promises. He must promise less and deliver more rather than promise more and deliver none. Talk is cheap. Pakistan is a nation since birth facing threat to its existence by another nation, ironically it’s neighbor. 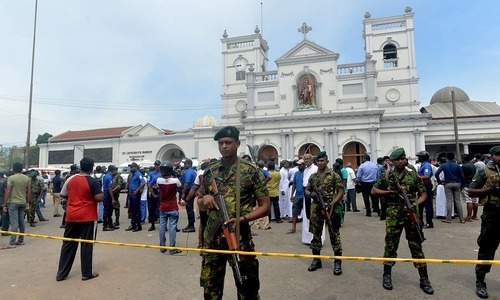 Hence it’s imperative the security institutions must remain on board, with government and vice versa. That remain in place for 70 years, and will remain indefinitely unless Pak security is unsurmountable. Every step be it Trade, travel, must have a policy visioned through advise of security institutions. In unison the government must go ahead in all spheres of policies. Best wishes & expectations for PTI governments. @Singh Everywhere army chief sometimes sits next to head of civilian govt - US is an example. @Rajeev Kumar both are meeting each other. Mutual respect. @Singh. Where in the world did you get your information. There are times when they must converse in private, they discuss situations, foreign and domestic, terrorism and security, that information is only on need to know basis. Are you expecting them to email each other or send postcards. These are two most powerful leaders of our country, I don't expect them to communicate in any other way. The govt is on honeymoon period, let's wait and watch what will happen after six months! PM Khan and COAS meet and the first topic of discussion should be cut in the defense budget.